Health and Safety: Kansas Licensed programs (both centers and family child care homes) meet health and safety standards. 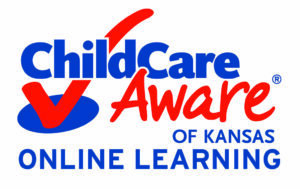 For a KDHE Child Care and Early Education Portal Online Facility Compliance Search, CLICK HERE. Utilize this link to review the licensing history, substantial complaints or current non-compliance issues, of a child care facility regulated by KDHE. Group Size/Ratio: Some children thrive in a large group setting, while others need the quiet and comfort of a smaller group. 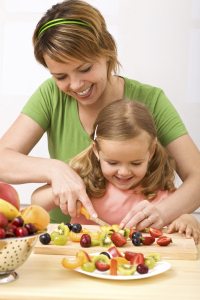 You should look for an environment that most closely matches your child’s personality and needs. The younger the child, the more one-on-one care he/she may need. Find out what the child/adult ratio is in each child care facility you visit. Family Involvement: Quality programs work closely with parents to ensure that they are kept informed about their child’s development, and that they offer family members both planned and unplanned opportunities to observe and participate in activities. Caregiver Education and Turnover: An important indicator of quality is the level of education and continuing professional development that the child care provider has obtained. In addition, low staff turnover provides consistency of care for the children. Accreditation: Generally, being an accredited child care program means they comply with national standards of high-quality. For additional information, find out if the program has any of the following accreditations and then click on the appropriate link below.